International concert saxophonist Kyle Mechmet brings his "clear, thrilling sound" (Florida Weekly) to audiences in his home state of Florida, as well as across the globe, performing a wide range of repertoire with the goal of cajoling listeners into welcoming the saxophone as a serious classical instrument. As a prize-winning soloist, Kyle earned a performance spot at the 22nd Hamamatsu International Wind Instruments Academy & Festival in Hamamatsu, Japan for their Premier Student Concert. He also won Florida Atlantic University's 2012 Concerto Competition. Kyle has also given solo performances at various conferences, including those hosted by the North American Saxophone Alliance, the US Navy Band, and the Association of Concert Bands. In Florida, he frequently performs as a guest soloist with various community and school bands, including with the Symphonic Band of the Palm Beaches, where he also serves as the associate conductor. In various ensembles, Kyle has performed on stages such as the Krannert Center for the Performing Arts in Urbana IL, the World Performing Arts Center in Boca Raton FL, a temporary stage set up for the World Streaming Show at Place Kleber in Strasbourg France, the New World Center in Miami FL, and the Mizner Park Amphitheater in Boca Raton, FL. He has performed in saxophone quartets, concert bands, orchestras, jazz bands, reed quintets, trios, and saxophone duos all over the US, and has worked with conductors such as Dr. Richard Mark Heidel, Dr. Kyle Prescott, Anthony Maiello, Michael Haithcock, Lt. Col. Alan Sierichs, and Teddy Abrams. 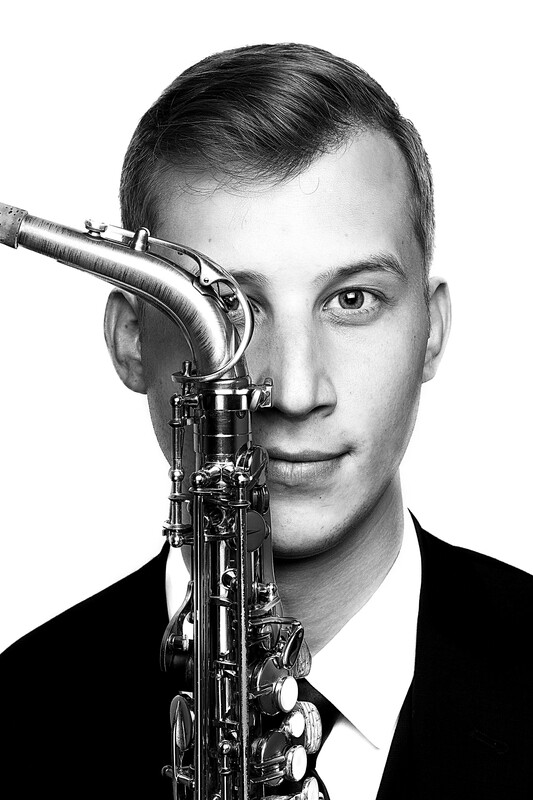 While studying at the University of lowa, Kyle Mechmet was a part of the saxophone studio's Iowa Saxophonists' Workshop to record a CD consisting solely of saxophone ensemble music (Contemplation, Jeanne Inc. CD 2282), the first of its kind published in the United States. Since then, he has produced various ensemble transcriptions dedicated to the Iowa Saxophonists' Workshop. In addition, he has transcribed Heinrich von Herzogenberg's Trio Op. 61 for soprano sax, tenor sax, and piano (originally oboe, horn and piano) published by RCEditions, and an adaptation of Bach's Chromatic Fantasy, soon to be published by Reed Music. When not performing, Kyle teaches saxophone across South Florida at such nationally-recognized schools as the Alexander W. Dreyfoos School of the Arts, Dillard Center for the Arts, Cardinal Newman High School, and Seminole Ridge Community High School. He also has a studio of private saxophone students. Together with Michael Garasi at North Broward Preparatory School, he formed the South florida Saxophone Festival in order connect the area's saxophone community and to help bring world­ class classical saxophone talent to the area. Kyle holds a Bachelor of Music degree in Performance from Florida Atlantic University and a Master of Arts degree in Performance and Pedagogy from the University of lowa. Kyle's primary saxophone teacher, Dr. Kenneth Tse, is a world-renowned soloist whose name "has become synonymous with excellence of the first order when it comes to playing the saxophone" (Saxophone Journal). He has also studied with other top internationally-recognized saxophonists such as Jean-Yves Fourmeau, Otis Murphy, Timothy McAllister, Dale Underwood, Lars Mlekusch, Carrie Koffinan, Chien-Kwan Lin, Nobuya Sugawa, and James Umble.